It has been especially tumultuous for race relations in America over the last couple of years, as cases of violence against young black men and children have taken center stage in the country’s discourse, creating clear divisions among the populace. But on a stage hundreds, and even thousands, of miles away from the sites of these incidences, a group of actors from Sam Houston State University is hoping to use the power of art to change that discourse. 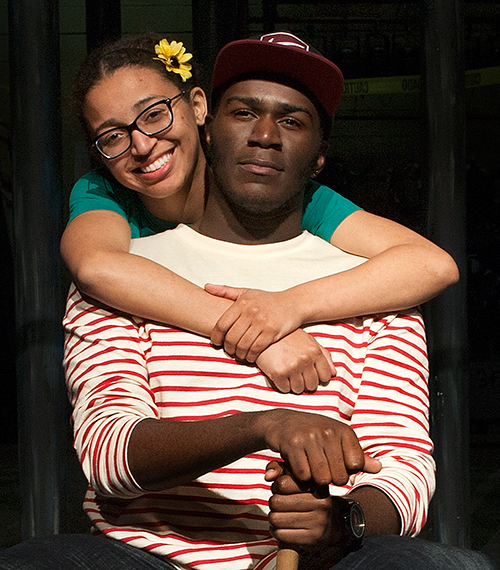 Set in the 1950s, during the early stages of the Civil Rights Movement, the play explores the African American experience, race relations and generational themes told through a story that doesn’t stereotype the African American family, according to director Tom Prior, associate chair and associate professor of theatre. “‘Fences’ is an extremely important American play and that’s the No. 1 reason to do it,” Prior said. “We have such a diverse student population right now, both in our department and at the university as a whole, and I think that we have to have a voice for a specific group of people, African Americans, in this particular case. The play tells the story of a 53-year-old man named Troy, a garbage collector who once had big dreams but is now trying to emotionally navigate his infidelity and hold his marriage together. When the play was written in 1983, it offered a lot of insight into the black experience in the 1950s; when it premiered on Broadway, in 1987, it also said a lot about that time; and now, in 2015, there’s still a time for it, according to senior musical theatre major Andrew Carson, who stars as Troy. “Troy has sons—named Lyons and Cory—and both of these sons have huge dreams. When Troy was young he had a dream to play baseball, but it was stifled because of his skin color, and he doesn’t want that type of hurt to happen for his sons,” Carson said. “That was in the 1950s, but the same thing is happening today. “In my community, there is a sense that you are stuck, you can’t have a dream, you can’t step outside the norm because this is where you have to be—because of your skin color,” he continued. “Because my stature, I’m 6’4—I’m a tall black man—if you were to see me on the street, in the stereotypical sense, I would be seen as scary, intimidating. It’s interesting that those factors still are a big deal in 2015. But “Fences” is more than just the story of race and racism, according to Prior. While both of the play’s stars expressed an ability to connect with racial issues and racism in their own lives, it is the message of love and hope that ultimately struck a chord and drew them into the parts. “There’s something about each and every one of these characters, where it doesn’t matter what situation you’re in, your background, your experience, your social status in society—there’s something about this show that when you leave you think, ‘I know this guy; I’ve met him before. I have a friend or an uncle just like this,'” Carson said. "There’s something that is so real about each and every one of these characters and their relationship with one another that really drew me to this show. Senior musical theatre major Maryann Williams, who plays Troy’s wife, Rose, was struck by Rose’s nurturing spirit and her ability to put others above herself. These issues transcend issues of race, according to Prior and his two lead actors. Carson pointed out issues related to gender and gender roles from the ’50s that are still prevalent, in many ways, today. Williams, whose mother is white, said she sees a lot of her mother in Rose and all women. Maryann Williams: I’ve learned that I’m a strong black woman—as much as I’m a white woman—but I am a strong woman, regardless. I honestly didn’t think I was up for playing Rose because I thought someone could be blacker or more womanly than I could, so even this far in the rehearsal process, that’s what I’ve gotten from this—that I am a strong woman. I'm so excited to continue growing as a performer through this. It also helps that Andrew and I are such good friends, because the wanting to care and nurture for him comes easier with a friend. Andrew Carson: I�ve definitely gained a lot from this experience, especially as an actor. I�ve been here for four years and sometimes being black in the department, you don�t get to see all black people who are here, all the black talent, until a situation like this comes up. So when the audition and callback came, you got to see all these people as artists. The wonderful thing about this is that I�ve learned that art is art, no matter what skin color you are. I also learned from Troy�s mistakes, that it�s OK to feel emotion, to tell someone how you�re feeling. He keeps this stuff bottled in so much that there�s this one moment (when it comes to a head) and it all boils up and he makes this mistake. SHSU’s production of “Fences” is not only an homage to Black History Month and an attempt to give a voice to African Americans in a somewhat chaotic time for race relations; it is also unique in that it is one of the only SHSU productions that includes an all-black cast. Prior chose the play deliberately. “This was the first year that I looked around me and saw a really diverse African American population in the department and decided I’d like to do it now,” he said. While Prior said he isn’t sure what to attribute the growing minority population of the theatre and musical theatre department to, he’s glad to see it. Likewise, Carson and Williams expressed an appreciation to Prior for bringing this opportunity to black actors at SHSU, because while both love the field, they also recognize the challenge of being actors of color in an industry that is consistently being criticized for its lack of color. “Sometimes you have that anxiety (when auditioning for roles), that maybe they (the directors, etc.) don’t want to change the playwright’s vision because the playwright didn’t write her as a black character or have a black actress in mind,” Williams said. “This production gives us the opportunity to know this is something we can succeed in, something we were written into. 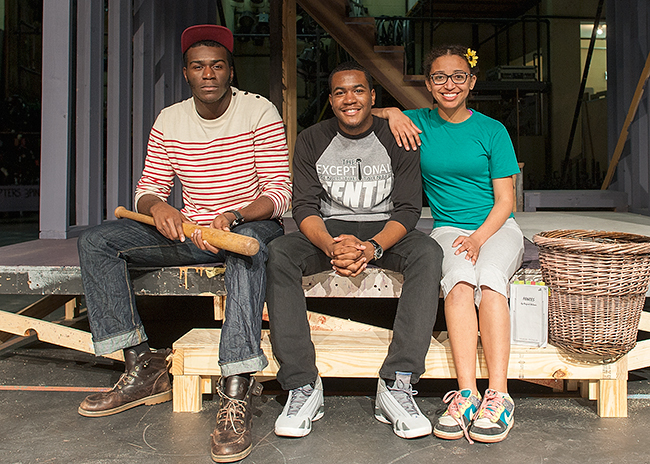 Presenting “Fences” to the SHSU and Huntsville communities, Prior hopes, will allow audiences to connect with people whose experiences they might not understand and will allow people to have the kinds of conversations that will help audiences move beyond seeing an actor for his or her race, but instead to see that actor for his or her ability. “I think this play is a wonderful opportunity, not only for us as black students but for students who are not of our color. That’s one of the big reasons I want people at Sam Houston and in the community to come and see the show,” Carson said. “Yes, I want people of color to see the show, but also people who are not of color, because it allows them a chance to see into a situation of people audiences sometimes don’t get to see or has been whitewashed.